Solvay Essential Chemicals, North America, processes 4.8 million tons per year (t/y) of trona to produce 3 million t/y of soda ash at its Green River facility (above). Developing and cross-training the next generation of miners and plant workers is a vitally important aspect of sustaining the mining business. Workers not only need to know job-specific skills, they also need to be prepared to meet the safety challenges often encountered in the mining business. Solvay Essential Chemicals, North America, developed a program for cross-training employees at its Green River facility, but safety performance lagged expectations and they knew they could do better. Working together, the company developed a safety program based on field level risk assessment that has had a profound impact on the facility’s overall safety performance. 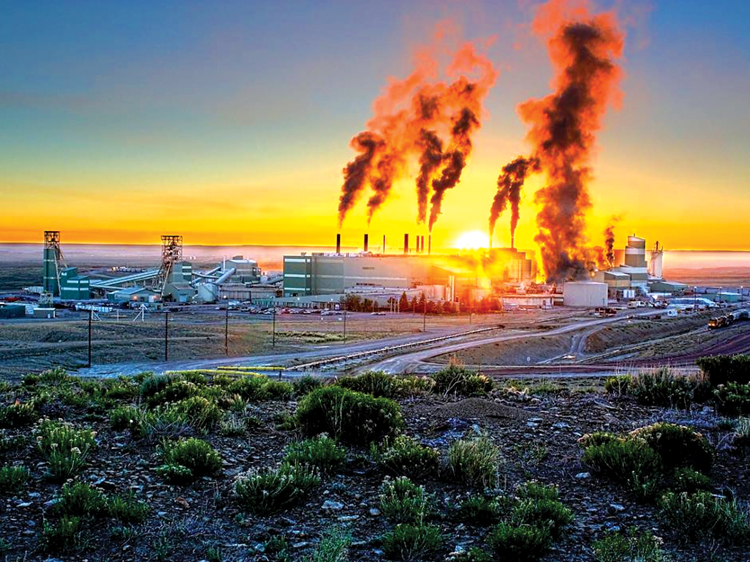 The Green River facility in southwest Wyoming refines trona to produce soda ash. The plant produces approximately 4.8 million tons of soda ash and derivatives. The company mines trona three ways: longwall mining, borer miners and solution mining. The orebody is bound to the southwest by a structure they refer to as the anomalous zone. 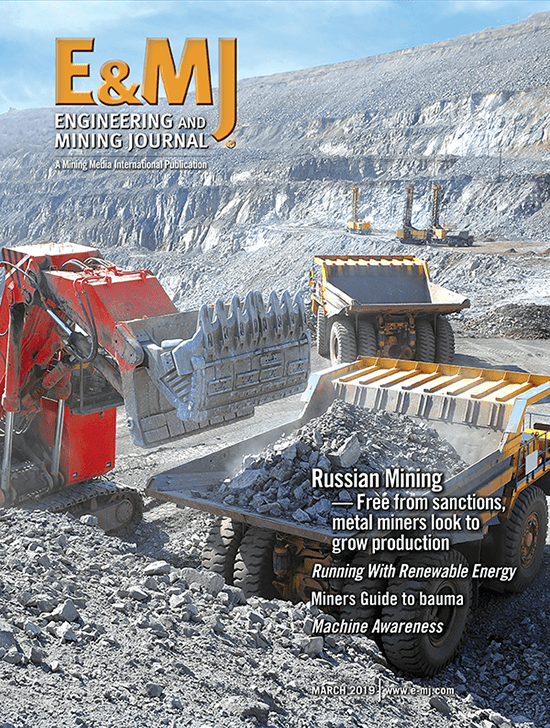 The longwall mining method was selected to control stability with safety and rock mechanics in mind. In 1995, the mine experienced one of the largest known underground collapses, when a 1-sq-mile roof fall created a major seismic event. Mining soft rock with a longwall is rather uncommon and so is the company’s approach to its operating strategy. The mine offers any individual the opportunity to reach the highest pay grade in as little as five years by cross-training over several job classifications. This approach allows the mine to operate lean and transition employees when and where they are needed. It exposes miners to several different aspects of the operation. A little more than eight years ago, Solvay’s Green River mine experienced an increase in the frequency of accidents. “We were experiencing injuries at an unacceptable rate,” said Rowdy Heiser, manager health/safety for Solvay Green River. “We had three major amputations in 2009 that changed people’s lives forever. We had several near misses. Just 2 or 3 in. one way or the other could have been fatal events.” Anger took over. Management was not aligned and they defaulted to past practices of blaming individuals. After some reflection, they took a step back and began to search for new tools and methods to improve safety performance. The management team brought company leaders together, asked for their input and offered their support. This transformational move created a level of trust among the workers. It also created a culture of safety based on three areas: risk assessment, safety interactions and hazard correction. Of the 460 employees at the Green River facility, 190 of them work underground. This year, they expect to produce 4.8 million t/y of trona and they eventually hope to grow that figure to 5 million t/y. The shearer on the longwall cuts trona from a panel that measures 8,750 ft long, 625 ft wide and 10.5 ft high. The longwall represents about 55% of the total production. 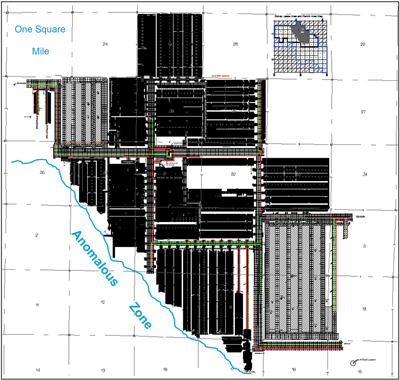 The Green River mine also uses seven boring machines to develop future longwall panels, the mains and panels for tailings disposal (solution mining). Shuttle cars and one continuous haulage system haul ore from the borer miners to the mine’s network of conveyors. The grade of the trona yields a 93% recovery rate. The tailings, the remaining 7%, are stowed underground. Trona is a soluble mineral. 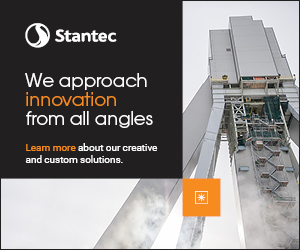 Tailings are placed in chevron panels and the liquid that decants from that process is also recovered. The Green River mine has a current life of up to 70 years within the ore bed it is mining today. There are multiple beds so the operation could one day become a multiple seam mine. The mine’s operating strategy was designed to develop employees with a diverse set of skills. Pay grades range from G1 (inexperienced) through G5 (fully competent). “Our pay system supports this as well,” Vendetti said. “We are one of the few mines where all employees in the mine have the ability to achieve the highest pay grade. A completely inexperienced new hire can attain the highest pay grade in as little as five years. To become one of the highest paid employees, they must be trained to a G5 level within their department and the G3 level in all other departments.” The three departments include mine production, mine utility/tailings and mine maintenance. Of the 190 miners, only 18 are assigned to the longwall. As an example, four crews on a 12-hour rotation operate the longwall. The crew consists of a foreman and three operators. In addition to monitoring the headgate (the longwall’s central control system), they operate the shearer, pull shields and push the panline. Two mechanics overlap two of the crews. They perform inspections and write preventive work orders. “One day each week, a highly trained maintenance crew that may have worked in a borer panel the previous day will team up with the production people and they will perform all work orders and preventive maintenance,” Vendetti said. “Breakdown maintenance is performed by the miners on the face who are cross-trained to do this type of work. The management framework is such that production personnel must know about maintenance and vice versa. It is no different for the utility personnel.” If a longwall miner is on vacation, a utility person can operate the longwall. A plan view of the mine shows the layout of the longwall panels. Working in an underground environment, miners constantly encounter safety rules and regulations as well as company policies. “Our people understood safety,” Heiser said. “They understood what it meant to them and the importance of it. Our workforce was committed and competent, but confused, and we lacked their trust.” He explained that miners need a level of trust that enables them to communicate freely and tell management things that are often unpopular. How do you manage risk to an acceptable level in a dynamic environment? What does that mean? Working with supervisors, management started developing tools, such as field level risk assessment, that added value. “It was a challenge,” Heiser said. “We told people we wanted them to do a risk assessment. And the response was: we do that all the time, otherwise we wouldn’t be here.” At what level and depth should they approach risk assessment? For the program to succeed, they needed to shift the mindset of the workforce. They needed to create a culture where the workforce actively participated and embraced safety methodologies. “We needed to get people excited about safety,” Heiser said. “It’s OK to talk about safety. It wasn’t seen as something that was cool.” And, they had to get the management team aligned with the program. Managers and leaders had to become predictable. “People had to have a level of trust and understanding that, when something went wrong, they would know how we were going to react,” Heiser said. “We had to react in a way that embraced the information and the incident. As tough as it is, we had to overlook who caused it, and focus on how and why it occurred.” The group had to learn from mistakes rather than punishing those who made them. Looking at all three legs, Heiser explained that management could chase people and equipment and they probably should. He also believes in investing in people, knowing that each person has an inherent risk profile that is different from everyone else. Equipment and machinery will experience failures and the mine has preventive maintenance programs in place. Energy is the one area where Heiser said the mine places an emphasis, and talks with people extensively. Miners could identify with consequences and probability. Once they understand the consequences, Heiser explained, they can place enough barriers between them and the energy to reduce the probability. “Field level risk assessment started the process of shifting the mindset and we began to think and see risk differently,” Heiser said. 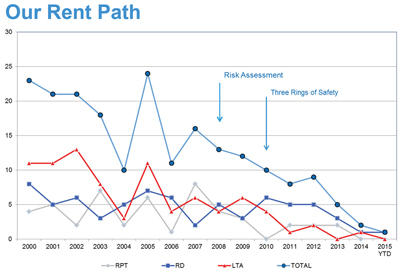 Figure 1—Green River’s history of reportable injuries spiked in 2005 and has declined since then. To personify the transformation, Heiser refers to a field level risk assessment and a related near-miss report. Heiser tracks near misses as key performance indicators related to safety performance. “A supervisor and his crew performed a field level risk assessment on a job they were assigned. They were removing 4-in. pipe and they had discussed as a crew the steps in the process, as far as how they would manage the risk and implement the controls. They talked about a post-job review, minute by minute as they were doing the job as far as what was changing and what were they inducing into the process,” Heiser said. At the end of the job, the crew experienced a near miss. He filed a near-miss report. 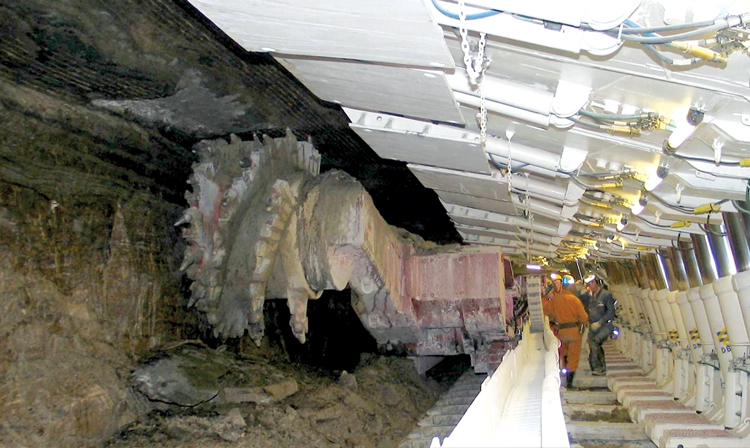 Solvay’s Green River longwall cuts trona from a 10- to 12-ft-high bed. This article was adapted from a presentation that Rowdy Heiser and Joe Vendetti gave at Longwall USA 2015, which took place during June in Pittsburgh, Pennsylvania. The presentation and MP3 can be accessed at www.longwallusa.com.